Thanks for visiting and making loose leaf tea part of your daily routine. With our premium tea you get both delicious premium flavor and the many great health benefits of tea. We believe that tea is a delicious drink that offers you a chance to take a break from your busy day and helps calm your mind. We encourage you to make a space of time to enjoy a cup of tea and do this in a mindful way. Savor that moment and that cup. Let a cup of tea take you to a peaceful place, even if it's only for a few minutes. Our motto is Relax, Refresh, Rejuvenate. Make your own tea ritual and do it everyday. You will notice the difference in your life. We offer over 110 premium teas and a large curated collection of teaware. Our variety of loose leaf teas range from traditional classic teas such as Earl Grey Supreme, to newer flavored black teas like the classic Hot Cinnamon Spice. We stock a wide variety of the best loose leaf teas to meet the needs of our diverse customers. Our teaware tends to be either modern or Asian. By modern we mean teaware that is easy to use and makes a delicious cup of loose leaf tea. Our focus on Asian teaware is mostly personal and reflects my own interest in Asian culture where tea was born. Good Life Tea was founded by me - Robert O'Brien. After many years of being a jack of all trades doing different things (Banker, Home Renovator, Politician, Realtor, Sales, Web Design) I decided to open a loose leaf tea shop. It was a visit to two tea shops that my friends run in Woodstock and Hudson NY that opened my eyes to premium tea. As a child growing up in Japan with a Japanese mother, tea was a very common drink. I drank it without paying much attention to it. When we moved to NY state as a teen, coffee was the rage and tea was unfortunately totally forgotten. Those visits to my friends teas shops made something click and the idea for Good Life Tea was sparked. In conceptualizing what Good Life Tea would stand for, I read a lot about tea. I learned that tea is an ancient drink and that it is a vital part of Asian spirituality and its development. While I am not going to go into a deep discussion of religion and spirituality, I do want to point out the major themes of these beliefs are contemplation, quietness and a life path. My life needed something and a tea shop offer me that path. Looking forward I decided that I wanted to put some of these spiritual practices into my customers lives through tea. I adopted the tagline "Relax, Refresh, Rejuvenate" because it summarized something I needed in my life, and which you may need in your own as well. Our store is located in downtown Canandaigua, in western NY, the gateway to the beautiful Finger Lakes. We opened our doors in Oct 2013 and since then we have enjoyed educating our customers about all things tea and reminding them to take a quiet moment to relax. 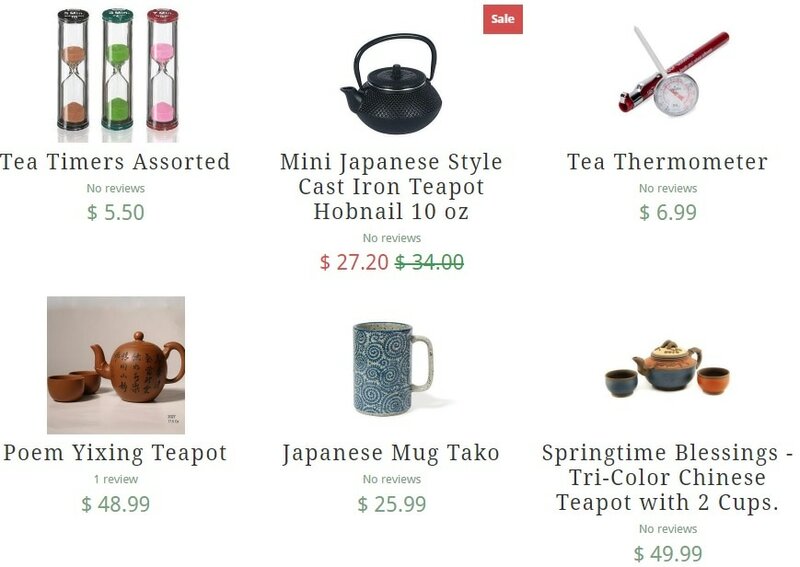 Our website has all the loose leaf tea selections from our store and our most popular teaware. If you have any question about our teas, please chat with us, email or call us. We will answer all inquiries. All our web orders will include free samples of loose leaf tea. We want you to experience a new tea with every order. 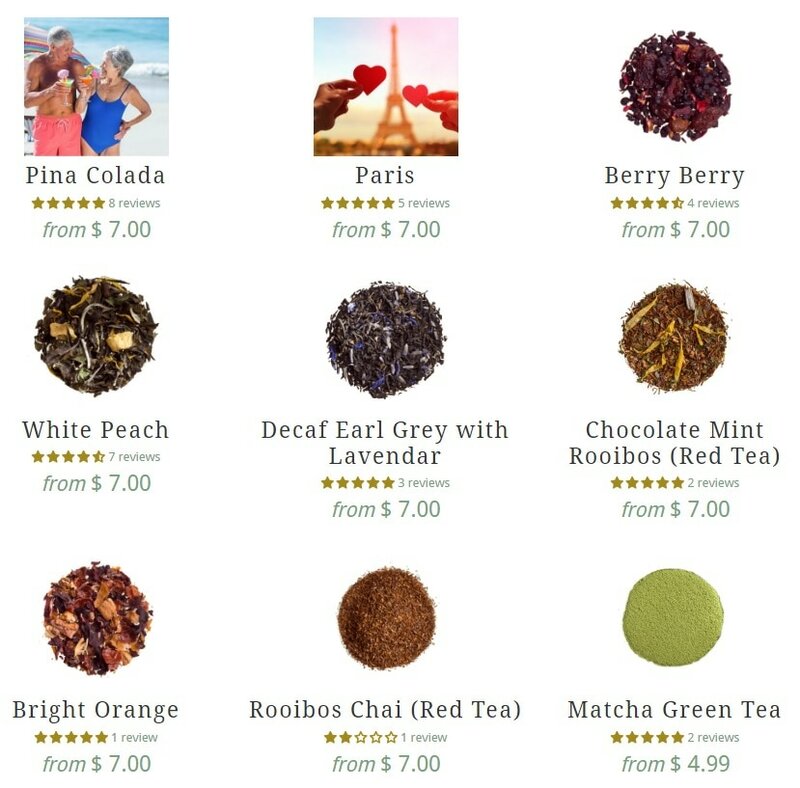 For orders up to 8 ounces of tea, shipping is $2.79, via US Postal Service 1st Class shipping. Most orders are delivered in 2-3 days, but can take a few extra days for rural areas. We also offer free shipping on orders over $35. We only ship to the US. . Your satisfaction is very important to us. If for any reason you have any concerns, please reach out to us. Thanks for reading this and remember to drink tea made from loose leaf tea for best taste. It's a topic that could and perhaps should take all day. Like the drink itself, discussing tea is a leisurely activity with many complex detours along the way, even for such a straightforward and much-discussed topic. Tea in the historical narrative: what it is and why it matters. Tea in its extraordinary variety: true teas, new teas, and everything in between. Tea as a cultural capstone: what does it mean for different people and cultures? The art of tea: how to cultivate your approach to tea, and how to serve it. A cash crop, cultural institution, hobby, passion, and source of nourishment and healing: the Camellia sinensis plant and its derivatives are an empire unto themselves. There is no inhabited land where the drink tea is not known, and searching back through history one would predate just about every other modern luxury before they saw a time before this humble plant's prominence. Tea is elegant, too. Elegant in the scientific and sociological sense that implies simplicity in sophistication. For a great many: tea is something mother, father, auntie, uncle, grandma, and grandpa used to brew and drink, allowing little ones sips, perhaps sweetened for them with sugar or honey. So what does tea mean for people? The tradition of tea drinking is closely associated with leisure. A break. A moment to oneself and those nearest and closest. Among strangers, the drink is arguably the surest and simplest way to break bread in any given place around the world. When one prepares and shares tea they make no statement (as with a full meal), and risk nothing (as with strong drink). Working, travelling, visiting, or lost: one's teatime materials are an extension of home. Speaking of it: Tea time may mean something slightly different depending on where you are and who you ask, but whether one is sitting for a polite Swedish fikaor a spending an unhurried Delhi afternoon being wooed by a shopkeeper over spiced milk chai, tea time means a break. A pause, a breath, an island – perhaps – of pleasure in a long day's work. And one accessible to anyone, able to be shared by all, even those from wildly different backgrounds. It is both the simplest of concepts and a near-sacred ritual. There is a reason that the great nations of the world hoisted off the manacles of colonial rule but kept and cherished (in many cases) the ritual of tea time. We all work, eat, drink, and require rest. And the marvelous, astonishingly versatile preparations of Camellia sinensis that we all enjoy embody this.